Here are eight animated gems, wonderful entertainment from a master of the cartoon medium. Jones and his ace writer Michael Maltese put such old favorites as Bugs Bunny and Daffy Duck into ingenious new settings—from the outer space of Duck Dodgers to the operatic world of What’s Opera, Doc? He also created such cartoon stars as Pepe Le Pew, the Road Runner, and Wile E. Coyote. You’ll see Pepe Le Pew’s (and Chuck’s) Academy Award-winning For Scent-imental Reasons and a prime example of the Road Runner series, in which Jones explored endless variations on a single—hilarious—theme...with a little help from the Acme Company. Jones’s cartoons are not only funny; they’re clever. These are not just “kiddie entertainment”; they’re films everyone can enjoy. 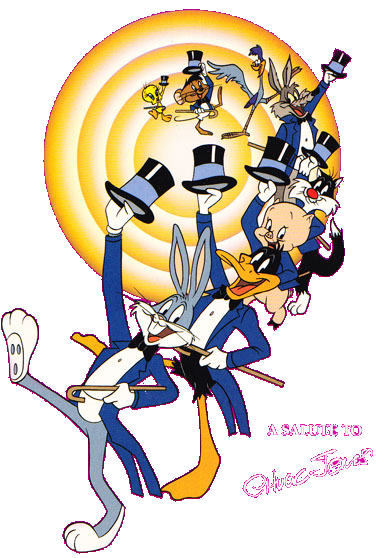 Watch the byplay between Daffy Duck and Bugs Bunny in Rabbit Seasoning or the inspired lunacy of that fanciful fable One Froggy Evening and you’ll see why Chuck Jones has earned the accolades of critics, colleagues, and millions of fans around the world.